Back from Florida! It was a fun (and very hot) trip. 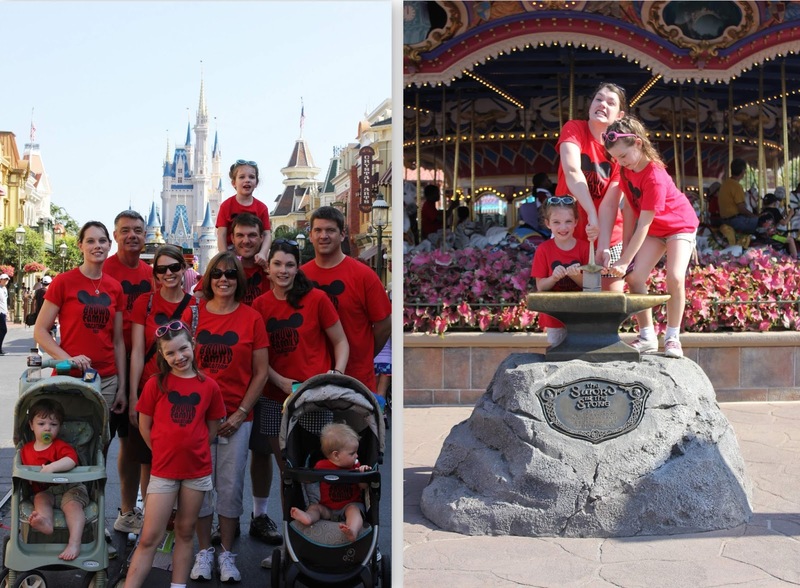 I met up with my parents, my siblings and their families, and we took my nieces and nephews to Disney World for a day first. One day was all anyone could handle of that place. It's not really my jam, but it was so fun to see the little girls excited about meeting princesses. After that, we headed to the Daytona for a week at the beach, which included sand castle building, ocean swimming, beer drinking and a whole lot of beach sitting. So fun and relaxing! Here are a few pictures. My little sister, Emily, made us all matching shirts for Disney. I mean, please. Hilarious. A family that wears matching shirts together, stays together. Me and my cutie nieces. Meeting Gaston. The littles kept asking me if he was the "real" Gaston. To which I replied. Yes, of course! My little sister's little monkey, Jack. So cute. Off to Daytona! We stayed at Perry's Ocean Edge Resort where we have been staying every year for the past 15 years. Ask for a garden, ocean front room. Those are the best. The beach sure is tiring for little babes. And below you'll find a series of our week long sand sculptures. I wish I could claim credit for these, but I merely carried water (like one day) and left the art work up to my talented family. I mean, someone has to supervise from their chair with a cocktail, right? Tough job, but I was willing to do it.